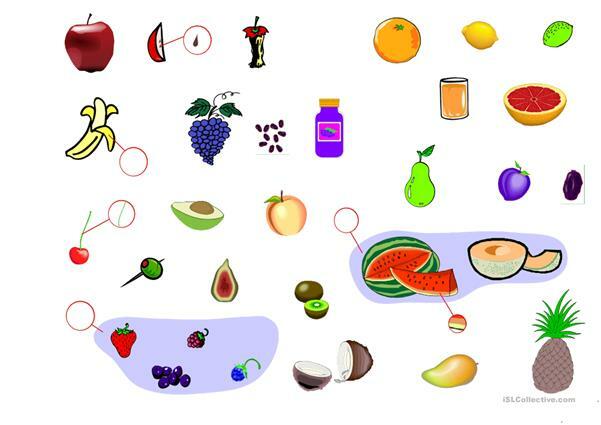 A vocabulary exercise-match the pictures with the names of fruits.Consists of two pages. This downloadable printable is best suited for high school students, elementary school students and adults at Elementary (A1), Pre-intermediate (A2) and Intermediate (B1) level. 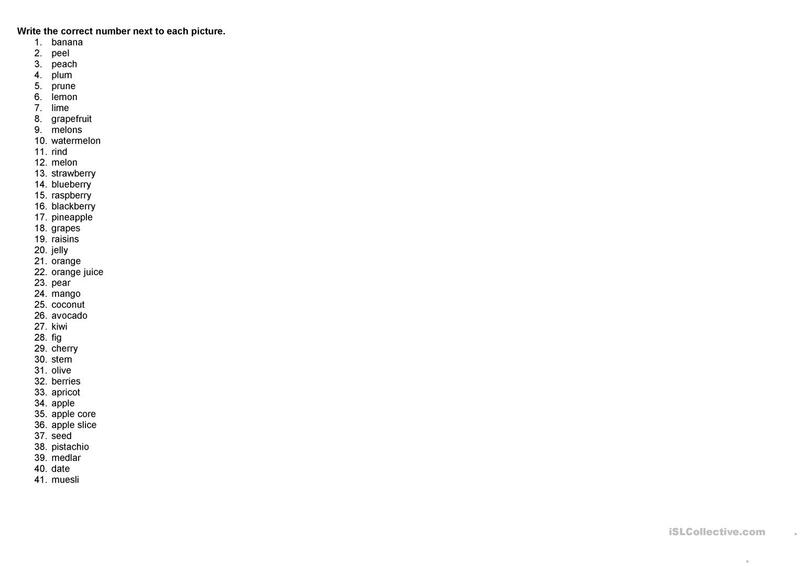 It is about the theme of Food.